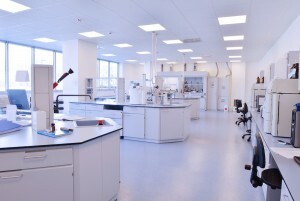 Industrial Electric qualifies as a leading contractor for the construction and maintenance of pharmaceutical facilities. We have electrical and automation expertise that supports the manufacturing of active pharmaceutical ingredients as well as facilities for the production of finished pharmaceuticals. We have extensive experience in the construction and maintenance support of Pharmaceutical Research and Development facilities. We assist our customers with scope development. We are able to review needs, constructibility, cost and schedules. We provide our customers with a critical look at design documents, not only for value engineering, but for clean build options and constructibility. We call upon our experience to assist in product, vendor and manufacturer recommendations. We believe that a quality plan well implemented is essential to the successful commissioning, qualification of a pharmaceutical facility. Each and every wire is terminated per the plans and specifications. We can assist in the design of a commissioning plan and execute the qualification of systems to assure a quicker turnover. Our team has the experience to build our projects per the room schedules yet deliver the project by each system being complete.